God’s wrath is one possible explanation for the wilderness of this graveyard. Other, more profane theories make mention of negligent maintenance services or of Monuments and Landscapes wanting to protect the site’s rich biodiversity. 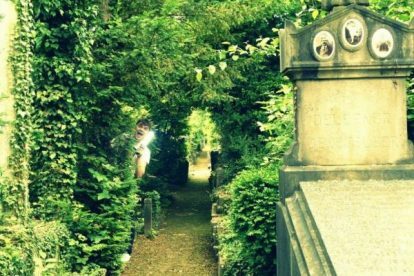 Whatever it may be, certain is that this 1866 graveyard has slowly grown into a unique jungle since it was closed down in 1958. Today, only the pathways are cleared from greenery, so that you and I can wander this forlorn necropolis. More than 200 different plant species can be found. They overgrow the dilapidated tombstones, chapels, mausoleums and rusty Jesuses. Some of the wealthiest politicians, architects, bankers, members of the nobility and Jewish families built their final mansions on these grounds – while fashionably keeping to the architectural styles that were in vogue at the time. Nowadays, branches embrace their magnificent funerary art pieces, as if wanting to prevent the beauty of this place from falling apart. Of one grave’s occupant you’ll probably have heard before: Georges Remi a.k.a. 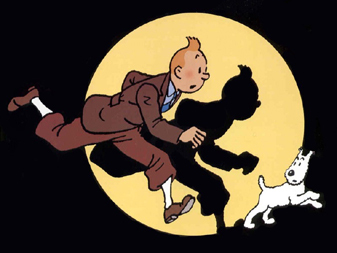 Hergé, the Belgian cartoonist. World famous for his comic albums ‘The Adventures of Tintin‘. My final recommendations for one of my favorite hangouts in Brussels? Enter one of the tombs accessible for public. Do make sure you have a good light with you. And secondly: don’t forget to enjoy the ride that gets you to the cemetery!